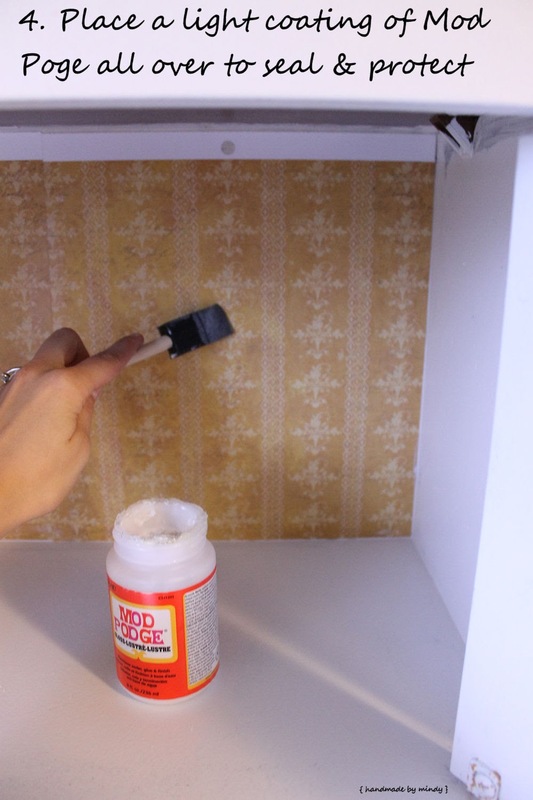 Handmade by Mindy: Wallpapering with Scrapbook Paper! This week I am working on getting my new desk space operational (and cute of course ;-) ). When I bought my cheap particle board desk, the back of the hutch was covered in a strong cardboard. So I painted that white too. 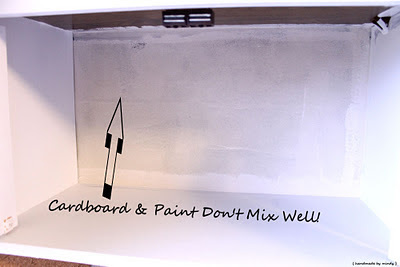 In case you don't know this, cardboard doesn't absorb paint like particle board does. In fact, the white looks so very different. 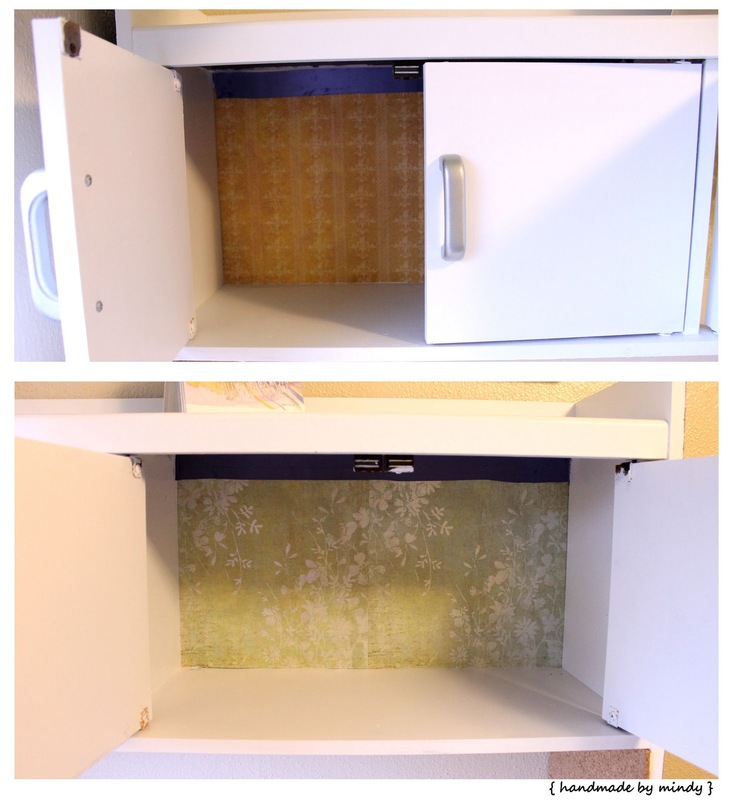 So if you are looking to redo a desk or dresser or bookcase that has this same problem, I have a solution for you! 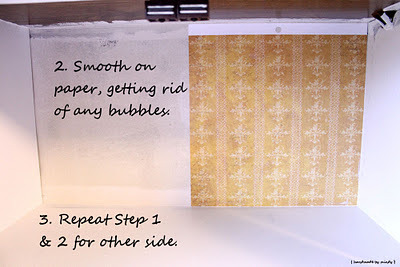 Wallpaper with scrapbook paper and ribbon. 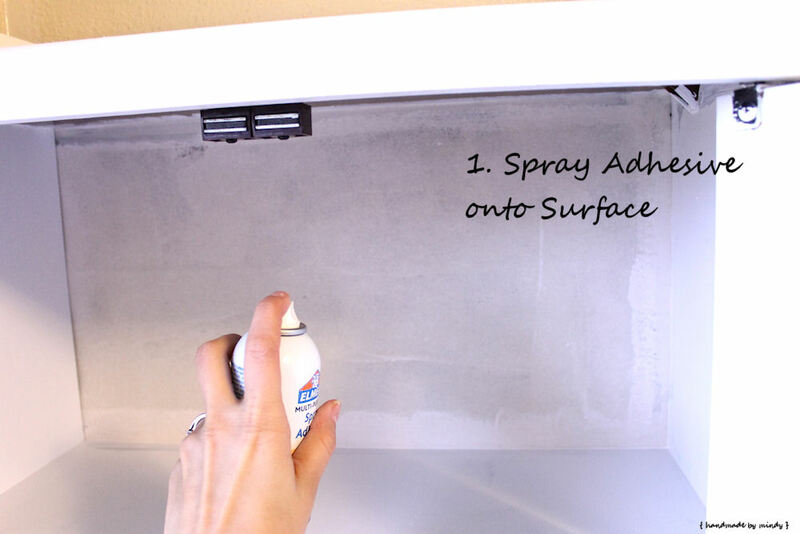 This is so easy and takes maybe 15 minutes. All done. My paper was just about an inch short from fitting, do I took some old ribbon I had and used the spray adhesive on it. Now it looks much better and a nice surprise every time I look at it. I love the power and satisfaction a simple 15 minute project like this can bring. What is your go-to project when you need that feeling of completing something creative? I love this idea! It would be great on bookshelves, too. Thanks for stopping by. I'm looking forward to learning more from Kristi!